America’s egg farmers will donate an egg for every egg breakfast sandwich purchased from 6 to 11 a.m. at 2,000 participating SUBWAY® restaurants throughout the Northeast. The month-long campaign is part of the Good Egg Project, an initiative by America’s egg farmers, to help educate people about where eggs come from and feed the hungry in the U.S. In a digital component of the campaign, every Monday during the month of October, the 10th person to retweet using a specific hashtag will receive a $25 SUBWAY® gift card. Additionally, for every pledge to “Eat Good. Do Good Every Day”, America’s egg farmers will also donate an additional egg to Feeding America, up to 1 million eggs. 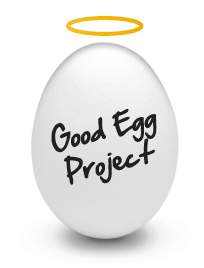 The “Good Egg” initiative is in its third year, expanding to 2000 Subway restaurants up from less than 500 and resulting in more than 350,000 eggs donated to help fight hunger. Teaming up with Subway and Feeding America for this campaign was a smart move by America’s egg farmers. Both Subway and Feeding America lend established brands, customer loyalty as well as consumer incentives to this cause effort. In return, Subway gains awareness of their breakfast offerings and FeedingAmerica food banks get a much-needed protein source as well as attention to the hunger issue in local communities.